Give me all of the sweet corn because I can think of 101 ways to use it. 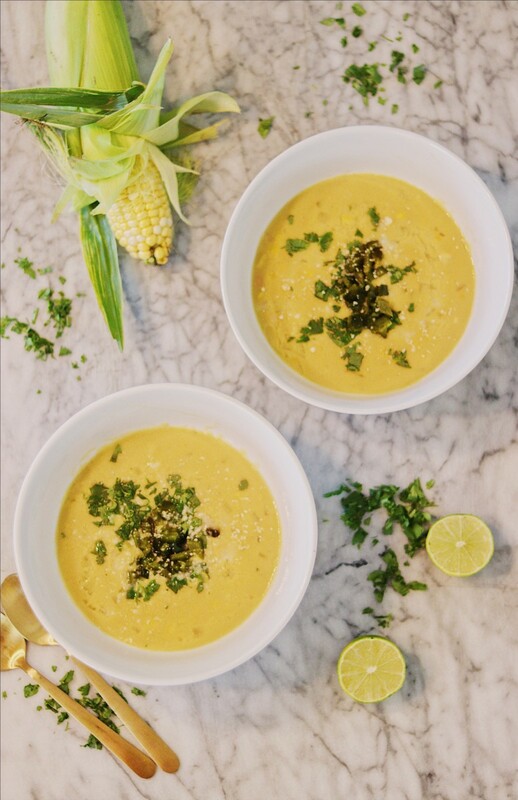 This Roasted Poblano and Sweet Corn Chowder is where it’s at. It’s the perfect balance of sweet and savory, salty and spicy (if desired), and even tastes good on a 95 degree day. I know this because we had it when it was that hot outside and my husband had 3 bowls. Friends, lets make some chowder. The secret is out, obviously. I love some Indiana sweet corn. Based on me raving about the deliciousness of this golden gem in my last post, it’s no surprise that I am back again with another bomb recipe, this time in soup form. You all may know that I have a garden at my house. I should add it hasn’t been doing very well this year because it has been just SO dry. However, I was out the other day picking a few tomatoes, jalapeños, and banana peppers and thought I should have planted poblanos. They are a large, delicious green pepper that is very mild in spice. Some may say they have no spice at all, which I tend to agree with but people who hate spice may disagree with me. So I tread lightly with statements like that. 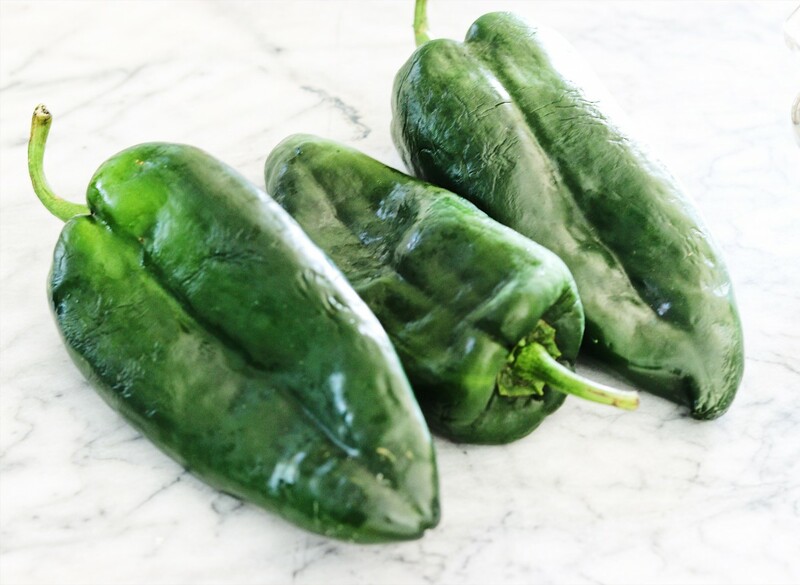 Poblanos have more of a “pepper” flavor than a green pepper and are just delicious when roasted and peeled. Soup isn’t something I make often in the summer for obvious reasons. A corn chowder, however, is a classic and one I grew up eating in the summer months of my childhood. I wanted to make a recipe that reminded me of that soup I had so many summers ago, but I wanted it to have some differences. One of those differences is being dairy-free and the other incorporating more vegetables and flavors. This is how I landed on the Roasted Poblano and Sweet Corn Chowder idea. It’s really quite a simple recipe, which I know you all appreciate. First, start by charring your poblano peppers. If you have a gas stove, stick them over the flame and let them get charred and blistered on all sides. Do NOT take your eye off of these guys while doing this because you do not want them to catch fire and burn your house down. Talk about your all time backfires. If you do not have a gas stove, stick the peppers on a sheet pan and set your oven to broil. Put the peppers in the oven until charred on all sides, turning when necessary. Once done, remove them from the oven and stick in a bag and seal it shut. This will help the peppers steam so that the skins can be easily peeled off. While those are resting, prepare the soup base. In a medium to large soup pot, over medium heat, add the olive oil to the pan, followed by the onions and celery. Let these cook until translucent, about 5 minutes. While those are cooking, chop the garlic and remove the sweet corn from the cobs (if using fresh). If using frozen sweet corn, skip that step. Next add the garlic and sweet corn to the pot, cooking until the garlic is just fragrant. To the pot, add the cumin and stir, followed by the drained beans and vegetable stock. Let this simmer until the corn is cooked or heated through. If using frozen corn, just make sure it is heated through. 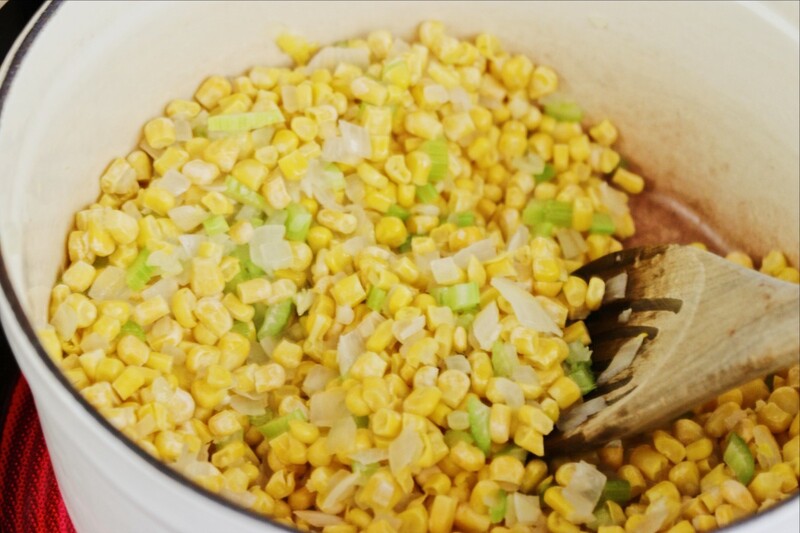 If using fresh corn, the color will go from a light yellow to a golden yellow when cooked. While this is cooking, remove the poblanos from the bag, peel off the skin, and remove the stem and seeds. Chop these into small pieces. Once the corn is cooked, take half of the soup and add it to a blender with some of the liquid to puree it. Once pureed, pour it back into the pot. Add in half a can of full-fat coconut milk, diced poblanos, salt and stir. Taste for more salt if needed. Serve up in individual bowls and top with cilantro, lime juice, and sriracha if desired. I hope you all love this recipe. It is healthy, comforting, creamy, and full of flavor. I’d love to see your creations. If you make this, please leave a comment below and tag me on Instagram and Facebook @plantiful_grub. Enjoy! 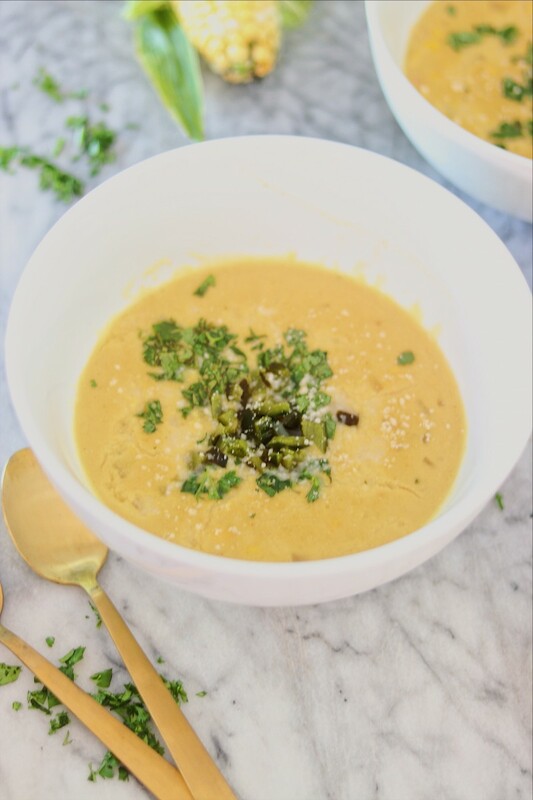 This corn soup has all the flavors of summer but can be enjoyed into the cooler fall months as well. Tuck this recipe into your back pocket because it's a keeper. Char the poblanos over a gas flame until dark and blistered on all sides or broil in the oven until blistered on all sides. Once black, remove and put into a sealed bag to steam. Set aside. Heat a medium to large soup pot over medium heat. Add the olive oil followed by the onions and celery. Cook until just translucent. Next, add the cumin and stir. Chop the garlic and remove the corn from the cob. Rinse and drain the beans and get the vegetable stock ready. Add the garlic and corn to the pot and cook until the garlic is just fragrant, about 30 seconds or so. Add the beans and vegetable stock and bring to a simmer until the corn is just cooked and turns a deep golden yellow. While the soup is simmering, remove the peppers from the bag and peel off the skin. When the skin is removed, open the peppers, remove the seeds, and chop. Take half of the soup and add it to a blender. Blend on high until pureed. Once finished, add the pureed soup back to the pot followed by the coconut milk, poblanos, and salt. Stir. Divide the soup into bowls and top with cilantro, lime juice, and sriracha if desired. Enjoy! Was very good. Will make it again! !